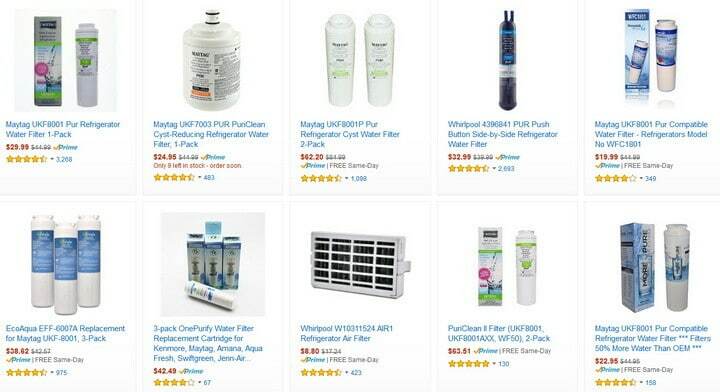 Maytag Refrigerator Water Filters – How Often To Replace Filter? 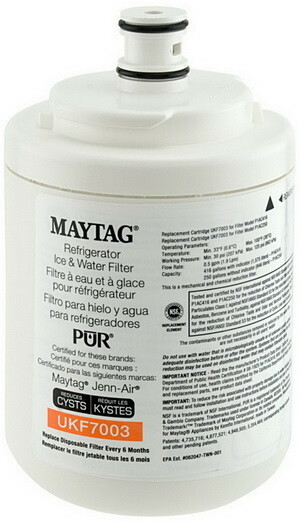 Maytag recommends to replace the water filter every 6 months. 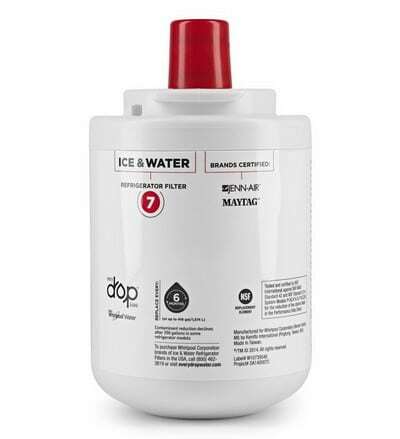 There are many different types of water filters that are made for Maytag refrigerators. This page will help you to determine which type of filter fits your fridge including bottom freezer and french door refrigerators. 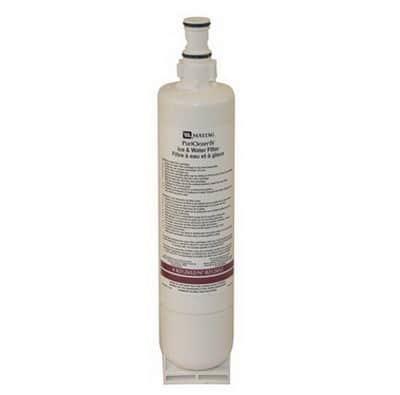 If you have a Maytag refrigerator you will need to replace the water filter. 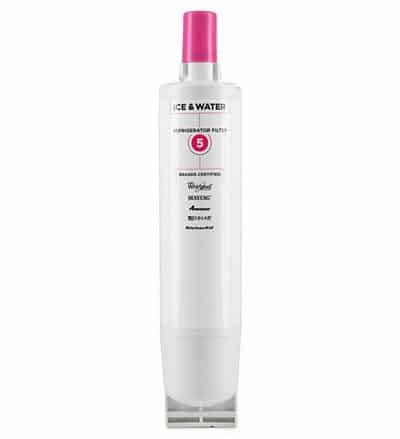 The water filter cleans the water for the ice and the water. You may start to notice a bad taste in the ice cubes or the water. When this happens, replace the filter ASAP. It needs to be changed every 6 months either way. Make sure the water and ice from your Maytag or Jenn-Air refrigerator is as clean and fresh tasting as possible by replacing its water filter. 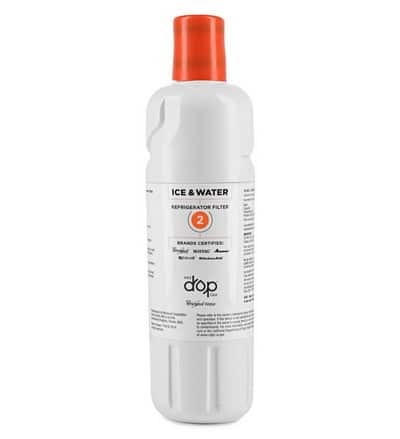 For the highest quality water and ice, your refrigerator’s water filter needs to be changed over a period of time as its effectiveness at cleaning the water is reduced. 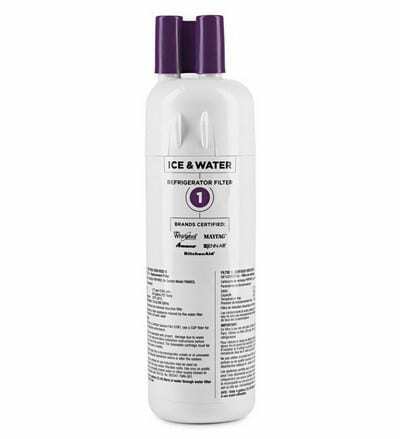 For optimal results, you should replace this refrigerator water filter every six months to ensure clean drinking water and ice. Your refrigerator will even remind you (depending on model) when to change its filter, turning on an indicator light found near the water dispenser. 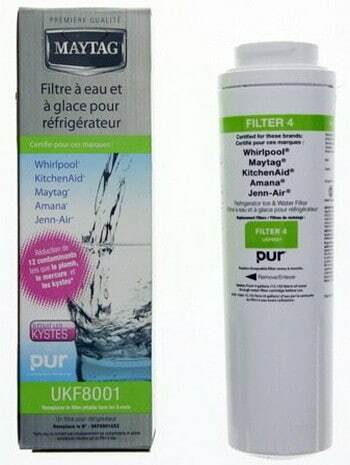 Changing the water filter is easy, just locate the old filter, twist and turn it until it becomes loose, then pull the old filter out and replace it with the new filter. and Jenn-Air refrigerators with filter access inside the refrigerator. Particulates & More, For Maytag & Jenn-Air Side By Side Refrigerators. How to change a water filter on a Maytag refrigerator? 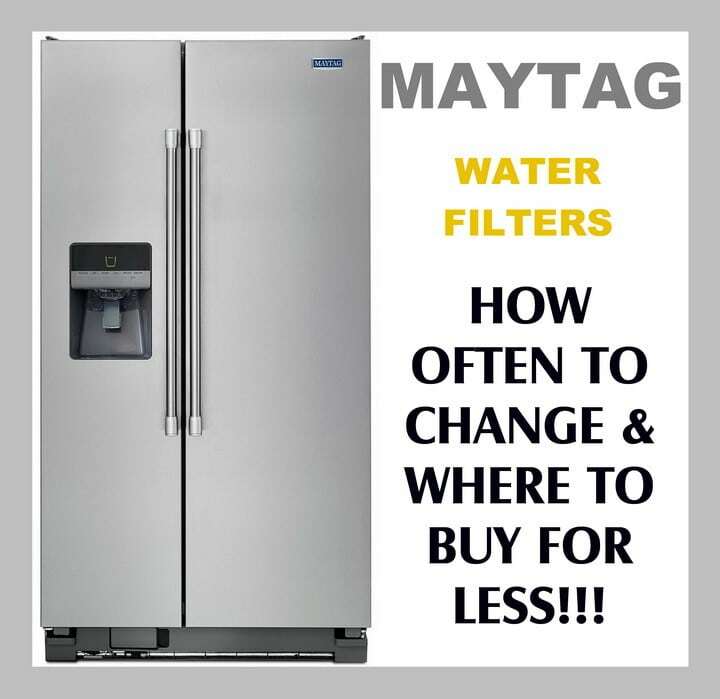 Do you know any more info on how often to change a Maytag refrigerator water filter and where to buy for less? Please leave a comment below. 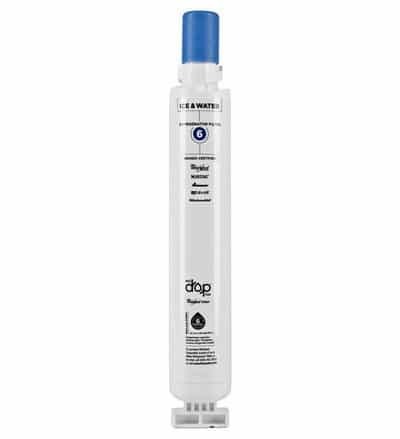 Previous post: GE Refrigerator Water Filters – How Often Should I Change The Filter? Next post: Repair A Flat Screen LCD TV With Power Issues – Power Board?